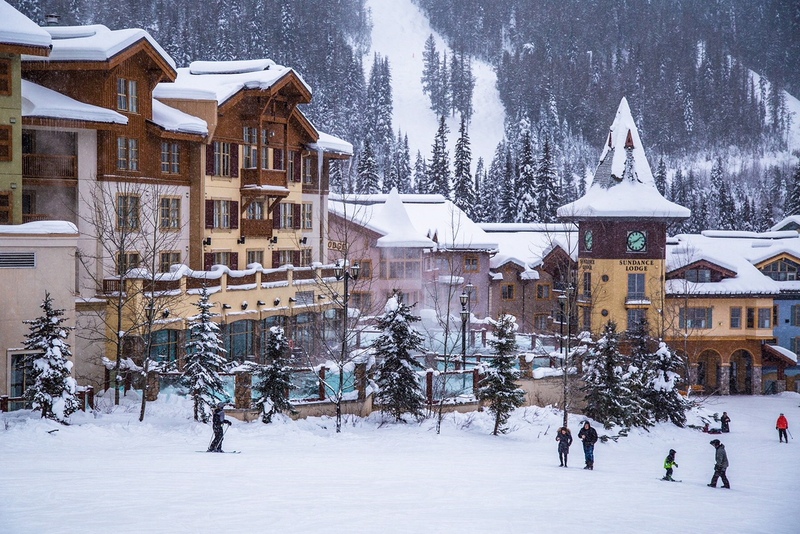 Best Sun Peaks Hotels - which is the best for you? Deciding which of the 7 or 8 different Sun Peaks hotels and lodges is the best is a tough choice for us, because we usually prefer the size, many amenities, quiet, home-away-from-home feel, and privacy that come with our Best Sun Peaks rental condo in Stone's Throw or our larger, family-sized Trapper's Landing townhouse at Sun Peaks. Or even one of our recommended Sun Peaks Vacation Rentals. 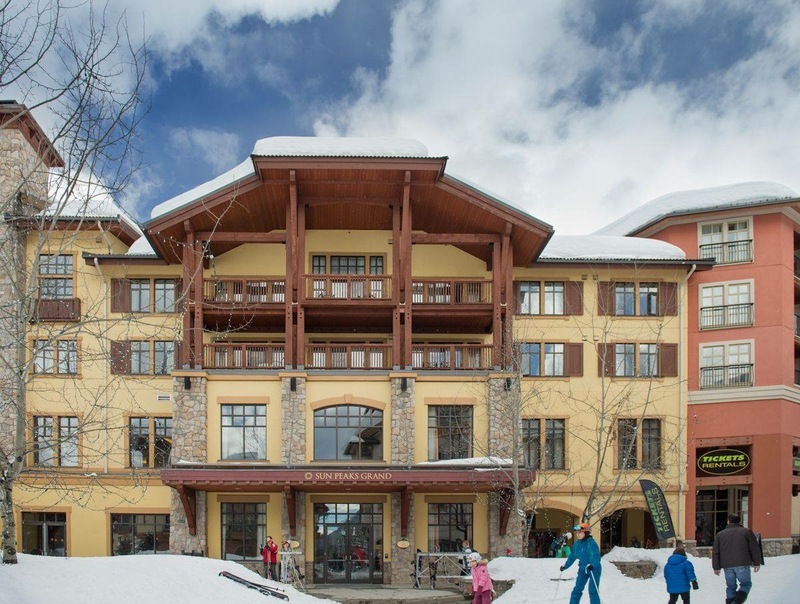 But if you prefer the convenience and amenities that come with one of the more centrally located hotels, then consider one of these many hotel and lodge accommodation options at Sun Peaks - virtually all with fantastic ski-in and ski-out ability. There are also a few options if your want to camp in the Sun Peaks area. We are always talking to our guests, Sun Peaks locals and regulars, and viewers on our Best Sun Peaks Facebook page to obtain feedback on their thoughts of the Best at Sun Peaks and to help with the rankings. Please use the Contact Us page or the form at the bottom of this page to give us your opinion on the Best Sun Peaks hotel based on your experience. The Winner Of the Best Sun Peaks Hotel Goes To..
Sun Peaks Grand Hotel & Conference Centre - working to be the Best Sun Peaks Hotel (Photo-Sun Peaks Grand). So for now, based on discussions with guests that have stayed at the various hotels, as well as our own stays at several of the hotels, we feel the Best of the Sun Peaks hotels is the Sun Peaks Grand Hotel and Conference Centre (formerly the Sun Peaks Delta Resort). The Sun Peaks Grand Hotel & Conference Centre is indeed ‘Grand’ and provides a traditional, upscale hotel-style stay at Sun Peaks that offers a large building with a number of floors, elevators, an outdoor pool and hot tub, and a great location at the base of Tod and Sundance Mountains with easy ski-in/ski-out and village access. In earlier years, the Sun Peaks Grand seemed to be hit & miss in terms of service and customer satisfaction. But with the addition of Vivek Sharma as the new General Manager in 2015, the Grand has certainly stepped up its game. Vivek brought many years of hotel experience earned at various locations from around the world, and joined with the goal of ensuring the Sun Peaks Grand Hotel was the Best Sun Peaks hotel, not just by virtue of its size and location, but also by the level of service and guest satisfaction that it provides. And with the planned renovations and upgrades as part of the 2018 Sun Peaks Expansion plan, we feel the Grand will only get better. 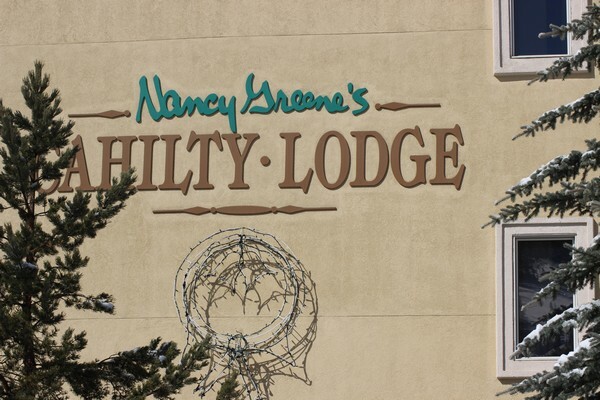 If you want a more intimate stay, with a reputation for providing great service and don’t mind being a few minutes walk away from the village, then we suggest you consider the Pinnacle Lodge. 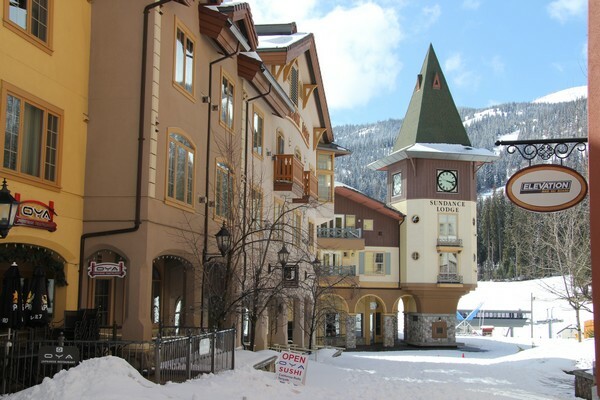 Most of the Sun Peaks hotels, except for the Pinnacle Lodge, make up part of the intimate, European style village, with retail shops and restaurants on the main level and Sun Peaks accommodations on the upper levels. Most of the other Sun Peaks hotel units are owned by individuals and managed by the Sun Peaks Resort or other management companies, so you may see quite a difference from unit to unit, and from shift to shift as various employees work to try and please their guests. For best pricing, we suggest checking the hotel booking site (links provided below). If you want a home-away-from-home for your stay, consider renting a wonderful Sun Peaks Vacation Rental By Owner or check out the 60 + Sun Peaks hotel-style rooms, Sun Peaks condos , Sun Peaks townhouses, and Sun Peaks luxury chalets offered with our 10% Best Sun Peaks Top of the Mountain discount. 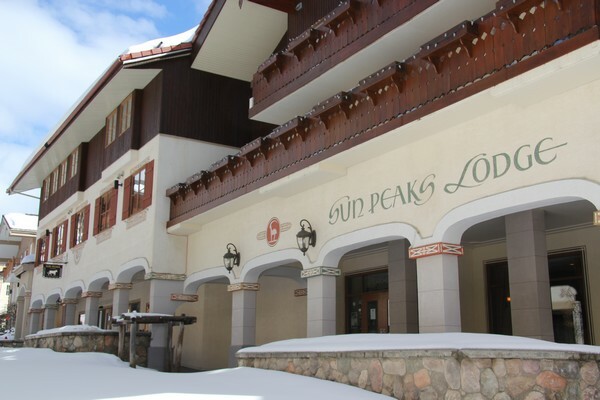 For now we provide a brief summary of each of the Sun Peaks hotels and lodges, and will add additional pictures, information, reviews and perhaps even shift placements around as better intel becomes available. And if you're thinking of investing in a hotel style unit at Sun Peaks, check out our Sun Peaks Real Estate page before you do. Please share your thoughts on your 'Best' Sun Peaks hotel experience with us. - offer different types of venues, meeting rooms, wedding planning services, etc. - Be specific on the type of room you want. Make sure your upgraded mountain-view room is an ‘unobstructed’ mountain-view; face the mountain if you are concerned about noise; ask for a recently refreshed room; hallways can be long so if walking is a concern ask to be near an elevator. - And if you’re not a fan of dogs, ensure they don’t put you on the second floor. - Built in 1998 with 20 guest rooms spread over 2 buildings, a common hottub, sauna and fitness area, coin laundry and a spacious, open dining area. - The Manager, Richard, has the same attitude as us – “do whatever you can reasonably do to ensure your guests enjoy their best possible Sun Peaks vacation”. He has been known to go well above and beyond the call of duty on many occasions. However when we tried to email him, we never received a reply back. - No kitchen amenities (except bar fridge and coffee maker); however there is a common area with a fridge, microwave, sitting area, etc. Check for Best Sun Peaks Hotel pricing for the Sun Peaks Pinnacle Lodge. 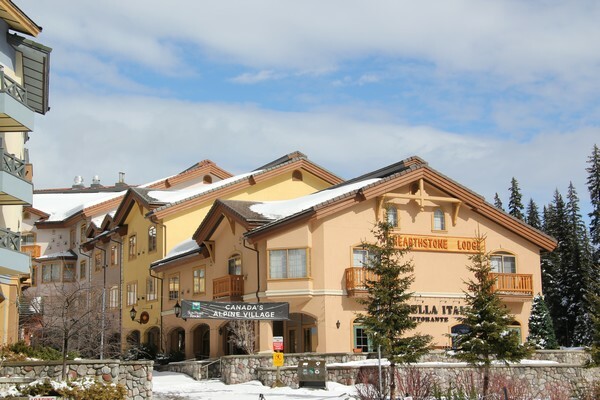 If your budget doesn’t allow one of the two best Sun Peaks hotels but you still want to be in the heart of the village, close to all the action, and be able to ski-in/ski-out and ski-through the village, then consider one of these other Sun Peaks lodgings. These are the units that large groups usually get, Sun Peaks special offers typically apply to, and were all built around the same time and have the same issues with potential thin walls, service that is sometimes great and sometimes not, and some people love and others don’t. 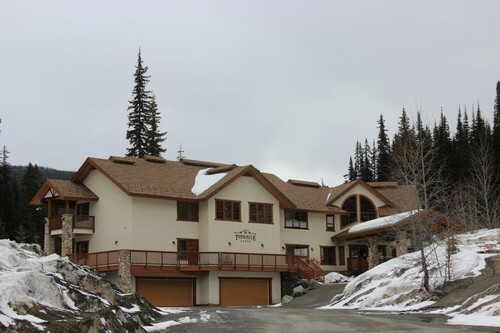 Because of the in-depth rental covenants, these may not be the best Sun Peaks real estate investment for you, so you may find owners don’t put as much into them as Sun Peaks vacation rental condo and townhouse owners do. However, being at Sun Peaks, you are assured of value for the dollar and a great time as long as you relax and enjoy the hills, many amenities and activities no matter the season! We will list them in a general order of preference. - The front of the Hearthstone is right on the village stroll and above the popular pizza restaurant so can be noisy and perhaps a little appetizing with the smell of pizza. Think about asking for a higher level unit at the back facing Mt. Morrissey. - Not enough parking spots for all the rooms. Assigned on a first-come, first-serve, but always specify you want a parking spot directly with the hotel when you book. If you book via an on-line service, call the hotel to ask for parking. - Rooms somewhat dated and basic but not bad. Quite spacious compared to some. - Website - needs a little work! Wherever you book at Sun Peaks, whether in a higher-end or budget Sun Peaks hotel or lodge, fully appointed condo, ski chalet, townhouse or single family vacation home, our luxurious Best Sun Peaks condo or larger Trapper's Landing townhouse, or even a luxury Sun Peaks chalet, there is something nearby for all interests and all levels of activity to enjoy. Fast becoming recognized world-wide as one of the best ski-in/ski-out, four-season ski resorts in North America, come and experience our little piece of paradise. Please click the quote button to get a quote on our spectacular Sun Peaks Best rental accommodation condo or townhouse at Sun Peaks, as well as other options.